By now, you all know I love me a good Australian brand. And lately, you may have also noticed over on Instagram, I have a new Aussie crush these days: Keepsake the Label. I was recently introduced to them at the end of last summer and have been stalking so many of their pieces ever since. 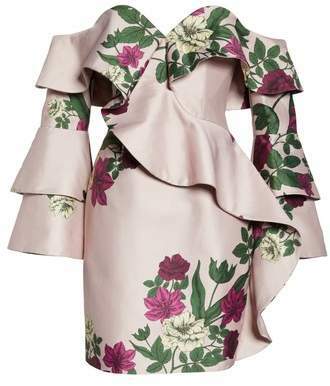 Imagine if Self Portrait and Zimmermann had a love child — the result would be Keepsake, their price point hovering just around $250 for a dress. Feminine with the right amount of statement details — ruffles, laser cut lace, off the should cut outs — working perfectly for daytime just as much as evening. For sizing reference, I’m wearing a size small in this dress, which holds true to many of their pieces. Keep scrolling for a few of my favorites from them — and let me know which are your favorites in the comments below! Off the shoulder AND ruffled statement sleeves? Where do I sign? 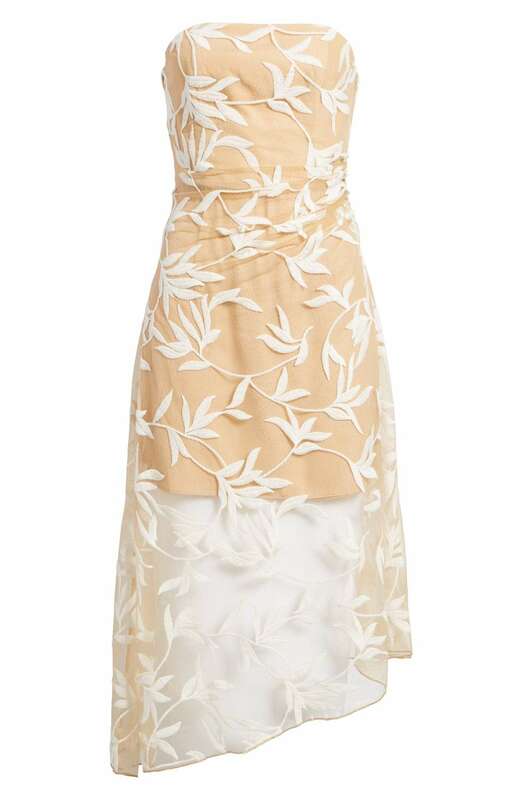 Granted, this dress may perhaps be the hardest thing to eat in ever, I like to think it's perfect for sipping champagne in -- and sometimes, a girl needs just that in her closet, right? I'm not one for mini dress -- in fact, you'll be hard pressed to find many in my current rotation, but if and when I do them, they need to have sleeves and a higher neckline, to balance things out for me. 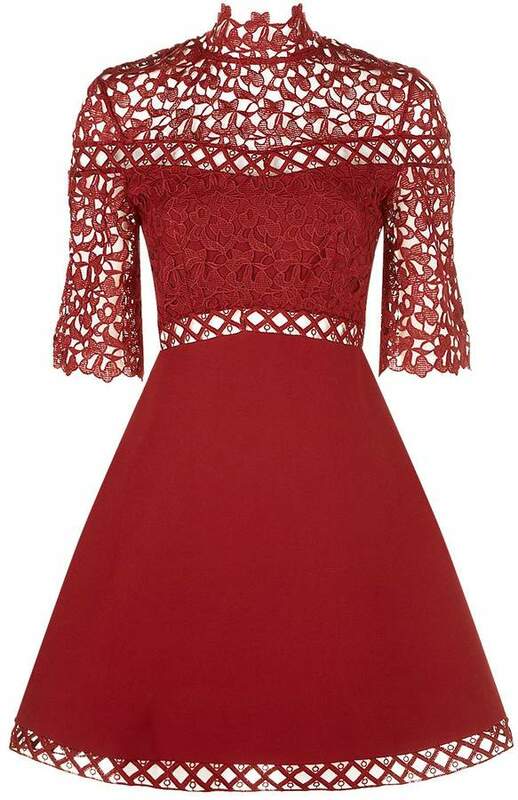 This little red number is flirty and demure at the same time, the perfect combination in my book. The last thing this girl needs is another polka dot dress. So what do I do? I find yet another polka dot dress that I'm stalking online. 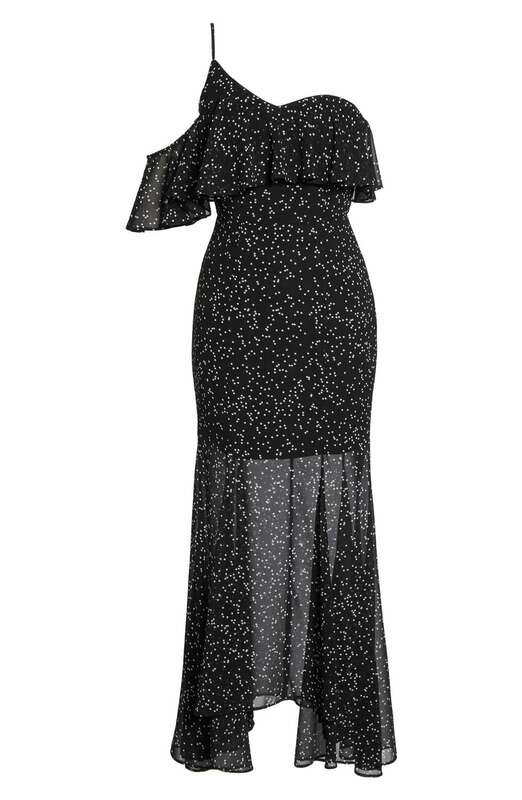 Seriously though, this one shoulder, midi dress would be perfect for so many evening events and I've yet to find a good, black on black polka dot dress for my rotation so it seems only fitting to pull the trigger, right? Right? For some reason, this dress really reminds me of the Donna Karan gauze dress that Carrie wears to a friend's wedding where she reads a poem (but Mr. Big bails and walks out during it). If that's not a reason to scoop it up for wedding season now upon us, than I'm not sure what it is! As I mentioned, we're heading to Italy in September for a friend's wedding so I'm already on the hunt for some perfect Italian holiday dresses. I love the soft off the shoulder details of this one -- with the ruffles just begging to be sitting out on under the Tuscan sun for a little afternoon wine tasting. I'm not usually one for wiggle dresses, but this is a wiggle dress I can get behind. 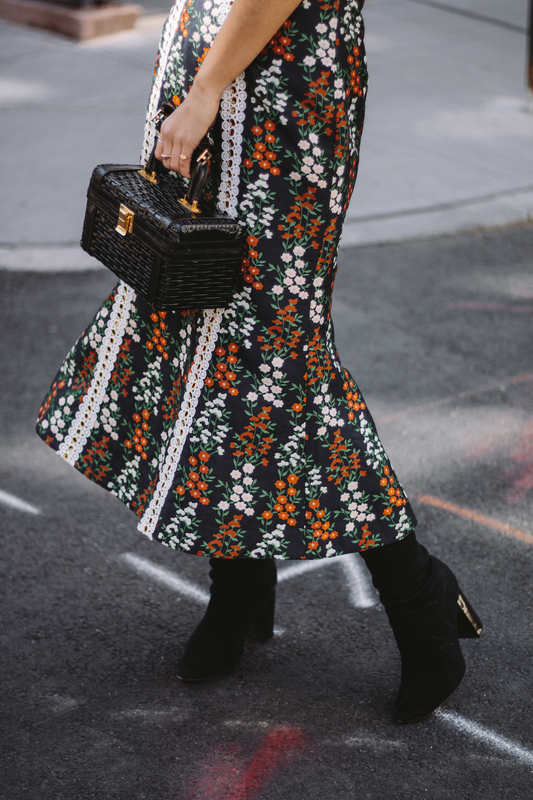 The mixed floral print is just so darling -- and definitely on trend -- plus the midi length had me at hello. Perfect with your hair swept up in a low messy bun and some statement earrings. Style and keepsake the label, new york city, nyc, outfits, style, winter outfits. 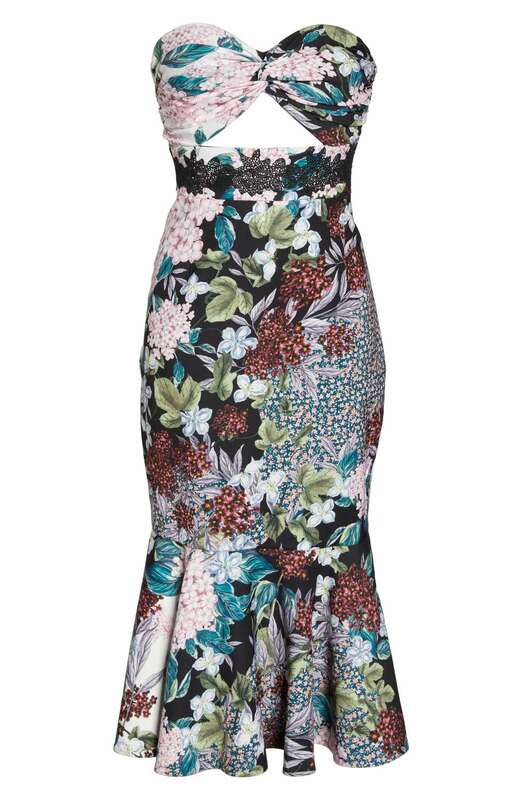 You look so great in this dress a fabulous silhouette! I’m not familiar with Keep Sake the Label but love what I see so far ! Yay for Australian brands!! hehe (I am biased!) Keepsake is definitely one of my favourites as well. This is stunning on you. I love the way that you styled it.